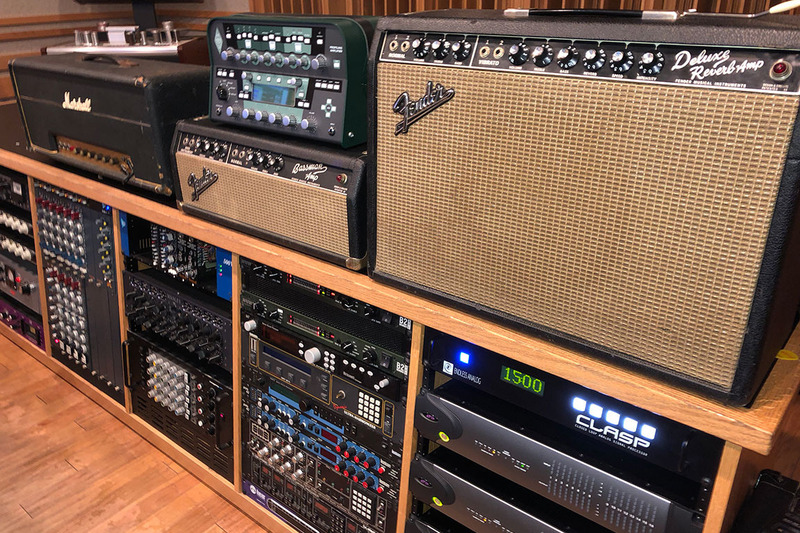 We're working on the new Rusty Wright Band Album and we've found the most amazing studio in Clearwater Florida filled with a mix of vintage and modern gear that will finally give us all the tools to make something exceptional. We are working on album No. 7 tentatively titled "Hangin' at the DeVille Lounge". It was inspired by a real place in my Hometown of Flint, MI that sat directly across from the factory where they made parts for the Cadillac DeVilles. I always thought that place had SO many stories over the decades it stood and watched the life and death of the town around it. So this will be a unique blend of Blues and story telling done with my fire breathing brand of guitar driven left turn swingin' grooves. My last record (Wonder Man) made #8 on the Billboard Top Ten Blues Chart and was nominated for Album of the year by Vintage Guitar Magazine and I'm planning on making this one a #1! The amount we're seeking will buy studio time to record 13 brand new songs. Our first 10 hour block has been reached! THANKS again to the marvelous believers who have pitched in. In case you weren't aware this is a $125 an hour studio (YES, it's THAT good!) but they are giving us a deal of $65 an hour as long as we book a 10 hour block at a time so every time we make $650 I can schedule a block and we go in at noon and work our butts off until 10pm. that's about enough time to cut really great guitar, bass and drum tracks on about 3 songs then there's guitar overdubs and solos, The Hammond B3 organ tracks and any solos he's doing then we work on lead vocals and background vocals and lots of multiple track takes so we can edit them later. To make an AMAZING recording is a huge amount of work and sometimes things go well and sometimes you have to really sweat it to get in the "zone" and then sometimes as we listen someone gets an inspiration for an idea and then we have to work on getting that added in so the song will morph into something even better from when you started but you now have a whole new batch of work to figure out how to get it captured in the recording not to mention all the time we spend working on tones. You really don't "fix it in the mix" if it sounds crappy going in it will still be crappy when you do the final mix. So the process is amazingly time intensive but this is how really great recordings happen. If you could type it out on a computer and it was quick and easy it would be rap or hip hop or edm, LOL! I'm making musical ART and it takes a LOT of hard work by talented people both the players and the engineers. That's why I need help from our fans. Otherwise I'm afraid this kind of creation will disappear from the world forever and that would just be a damn shame. I hope you'll see fit to get involved and help me keep MUSIC by skilled musicians alive and thriving. We're only $250 away from booking our first 10 hour block. It's $650 for a block of 10 then we go in and work from noon to 10pm cutting tracks on as much as possible then we raise the money for another 10 and do it again. Deepest thanks to those who have already helped. What about you? Can you spare a few bucks to help me make something amazing!? !